Jon Jones is relishing the news that his UFC 232 drug tests have come back clean. A lot of controversy surrounded UFC 232. The event was moved from Las Vegas to California. This is due to the fact that the Nevada State Athletic Commission (NSAC) wouldn’t license Jones to fight after a trace amount of turinabol was found in his system. The U.S. Anti-Doping Agency (USADA) found this to be a pulsing effect and the California State Athletic Commission (CSAC) allowed Jones to compete inside The Forum. Jones is scheduled to defend his light heavyweight gold against Anthony Smith on March 2. It all depends on whether or not the NSAC will grant Jones a license to fight. UFC 235 will be held inside the T-Mobile Arena in Las Vegas, Nevada. 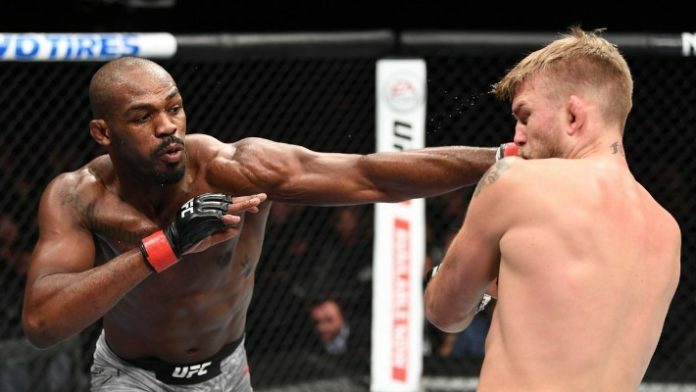 What do you make of Jon Jones’ clean UFC 232 drug tests?